Xiaomi Mi Flash tool is a tool developed by Xiaomi Inc which allows the user to Flash Firmware on their Xiaomi devices. You can Upgrade or Downgrade device Firmware. Or in the case of boot loop, you can flash Stock ROMs directly using this Application. Mi Flash is a tool developed by Xiaomi developers to flash Stock Firmware/ROMs on Xiaomi devices. This stock firmware is consist of Fastboot Files which can be flashed through this tool in fastboot mode or EDL Mode only. Please note that this tool supports only Qualcomm Devices. Before installing this version, Please uninstall the old version of Xiaomi Mi Flash Tool. The tool is supporting devices above Xiaomi Mi 3 only. Mi Flash tool is now supporting both 32 Bit & 64 Bit Versions of Windows 7/8/10. Xiaomi has fixed many Bugs. Mi flash app is on Stable Version now. You must have to Unlock Bootloader in order to flash fastboot files. We have provided a direct download link of installer MSI file. You can install this software on your Windows PC easily. It’s a very easy to install this just you need to give a direction to set up by giving some next instructions. Just Connect your device to Computer and it will automatically install the necessary USB Drivers. Moreover, You can manually Download USB Driver of your smartphone from that page. The latest Mi flash tool is coming with built-in drivers which are required for flashing purpose. The Built-in drivers are Google ADB Drivers, Qualcomm Drivers Drivers. Also, You can install them again through Application Option Panel. 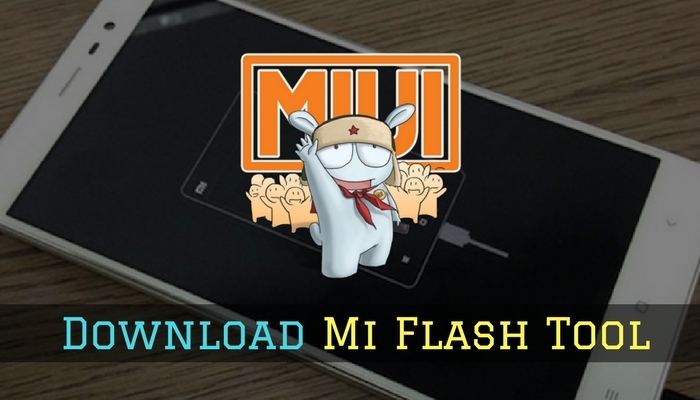 Mi Flash tool is providing you three options of flashing Fastboot ROM. So, You can use the command with any suitable choice of yours. Clean All – You can do the clean installation of MIUI ROM Thorugh this command. It clear all data & Internal storage through it. Save User Data – It will install MIUI Firmware expect the internal storage of your data. By which you can save internal storage data with this flashing option. Clean All & Lock – This will Clean your all data & also it will lock your unlocked bootloader using this command.